ImproveRite is your dependable basement finishing contractor located in Bucks County. Basement finishing is a practical solution if you want to extend your living space or advance the value of your home without the high cost of adding an addition. A finished basement offers several benefits to homeowners. More and more people have come to realize this, especially those living in smaller homes. This very reason makes the demand for a professional basement finish contractors noticeably higher nowadays than ever before. When compared to having an addition installed or extending an existing room, finishing a basement is considerably cheaper. There is no need to construct walls and a roof since the basement is technically a complete structure and it only needs to be remodeled to be more functional. 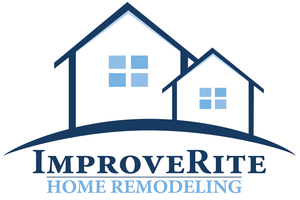 ImproveRite is a trusted finished basement company that serves customer throughout Southeastern Pennsylvania and Central New Jersey. We offer basement renovations at competitive rates. Having been in the business for over 20 years, our basement finishing contractors are well versed in the ins and outs of basement finishing. A common question we get from our customers is how much does it cost to finish a basement? We encourage our customers to inform us about their budget up front so we can present them with options that will attempt to fit their desired needs. Our finished basements are built with expertise. There can be many options that can go into your basement remodeling project. 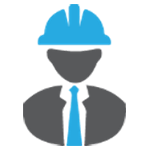 We guarantee that our services are priced reasonably, on account of our expertise level, the efficiency of procedures we employ, and the quality of materials we use. We stand by the price we quote to finish your basement. Basement finishing contractors at ImproveRite do not ask for any additional charges in the event there are materials that need to be replaced due to manufacturing defects. With a finished basement, you are free to come up with decorative ideas regardless of the current design of your home. The design and layout you can choose for your finished basement is virtually unlimited. Most finished basements are designed in a way that contrasts the concept used for the entire home. Most homeowners with a finished basement regard their basement as their refuge, where they can freely display a part of their personality. At ImproveRite, our basement finishing contractors will gladly accommodate our customer’s concept. Since we are experts in finishing basements, it is easy for us to create the desired outcome from the ideas you conceptualize for your basement remodel. Regardless where you’re at with your basement finishing concept, ImproveRite can help you get the finished basement you desire. You’ll be surprised how much space you get when you have your basement renovated. The basement is typically a spacious room. This part of your home can be used for multiple purposes. This once idle and uninviting part of your home can suddenly become your family’s favorite hangout! Given our expertise and the quality of supplies we use, ImproveRite can help you turn your basement into a room with tons of potential. We can transform this space into additional sleeping quarters, a playhouse, an entertainment room with a bar, or even home theatre room; everything depends on your desires. We are aware of the latest trends in basement renovation. We have all the necessary skills to bring your basement to life while implementing your personality in its design. ImproveRite is a basement finishing specialist. You can count on us if you need professional help on renovating your basement. We can apply a modern contemporary scheme of your basement without breaking the bank. For a free quote, give us a call today and see what we can do for you.